New Act on social economy and social enterprises offers a solid legislative framework to address long-term unemployment via work-based learning in social enterprises. Since Slovakia’s EU accession, the unemployment rate has declined to the lowest figure ever (5.72%). However, long-term unemployment has remained high and the share of those unemployed the longest has increased to more than 20%. 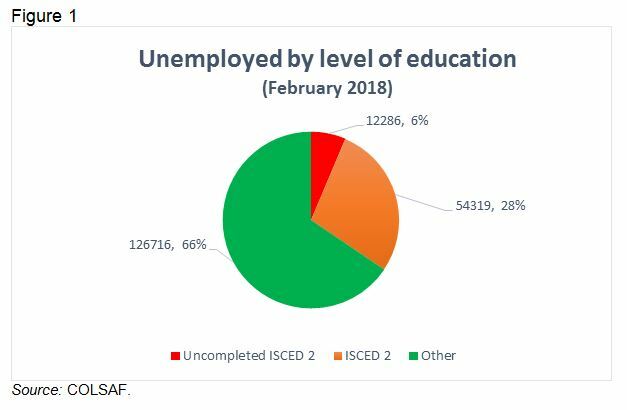 February 2018 data indicate that one third of the unemployed are early leavers from education and training. Long-term unemployed are also often early school leavers. The low-skilled and long-term unemployed are mostly concentrated in districts identified by the government as lagging behind in development. Specific policies included in government action plans developed for these districts  are already in place. Although district-specific, all action plans aim to set up training centres linked to social enterprises. They will focus on providing skills via work-based learning and experiential learning for the disadvantaged. This aim, however, has been hampered by missing legislation on social enterprises. In March 2018, parliament adopted the long awaited Act on social economy and social enterprises. Compared to the Act on employment services, which had a quite narrow definition of social enterprises  the new legislation addresses this issue in more detail. The so-called integration enterprises focus on increasing the employability of disadvantaged groups via work-based learning. Skills acquired through working in social enterprises and cooperating training centres are expected to lead to a formal qualification. According to the education ministry, respective legislation is in the pipeline. See e.g. Pongrácz, E.; Poláčková, H. (2017). Labour market inclusion through social economy in Slovakia. In: Yang Liu. Unemployment - perspectives and solutions, Chapter 1. Until now 16 districts have been identified, action plans have already been developed for 12 of them. See § 50a and § 50b of Act No 5/2004 Coll. on employment services, or explanation in English in Box 2, p. 19, of the European Commission country report on social enterprises.